The Krishnamurti–Bohm Dialogues took place over a span of almost 25 years. 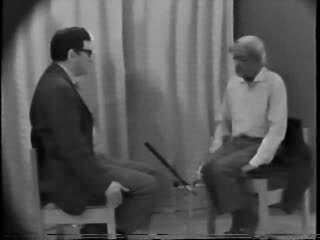 Although they had met and talked before, the first one to be recorded was in August of 1965, after an annual Krishnamurti gathering in Saanen, Switzerland. Someone had the good sense to purchase Nagra tape recorder and the six dialogues which occurred over a week or so were recorded in their entirety. It should be noted that the first three are labeled in the Krishnamurti Archives as “Small Group Discussions.” The latter three— were published as a set 20 years later in 1985 and are labeled as Dialogues. When one listens closely to this series, one can discern that Krishnamurti would have preferred to talk directly with Bohm, but neither man had any intention of excluding the others who were present; and, in a sense, their presence and participation underscores the unique nature of the kind of communication, both verbal and non-verbal that was beginning to take place between these two men. Over time, that communication would develop “organically” and thus the Krishnamurti–Bohm Dialogues were born. Krishnamurti asked Bohm to be a Trustee at the Brockwood Park School, which was created in England a few years later. Many recordings exist of meetings that the two men held with the Staff and Students. In addition, two formal meetings were held with a groups of scientists and those were also recorded. In 1975 another series of 12 Dialogues were held—and recorded. Some have since been published in a book entitled The Limits of Thought. Then in 1980 a series of 15 dialogues were held. Thirteen of these were published under the title The Ending of Time. Some were also videotaped. What would be the final Krishnamurti–Bohm Dialogue took place in 1984. A book and full-color video of the two-part meeting were published under the title The Future of Humanity.